It used to be quite simple to order a cup of coffee, but nowadays there is a myriad of types and varieties to choose from - an Expresso to a Cafe Latte to a Long Black to a Flat White. I can just about cope with that, but as for tea, give me a strong home brewed English Breakfast every time! A post-fermented tea, meaning that it is usually aged for years after harvesting and fermenting - hence its other name of 'vintage' tea. Available loose or in cakes. it is often claimed to a aid weight loss. Green tea is dried, unfermented leaves of the tea bush, camellia sinensis. Jasmine, a blend of jasmine blossom, and tea, is the most popular. Matcha is a powdered Japanese blend, good for making green tea ice cream. 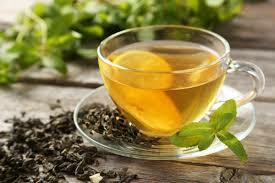 Similar to a herbal tea, fruit teas are also a tisane, and are made from dried fruits, often with added spices. Flavours such as raspberry, blackcurrant and strawberry are common, and their delicious sweet nature makes them a perfect afternoon pick-me-up. 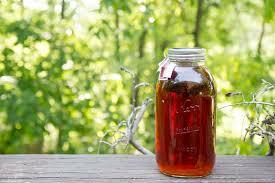 Made by mixing tea leaves and cold water in a screw-top jar and leaving in the sun for several hours. Resulting tea is 'cleaner' tasting than ordinary tea, and makes crystal-clear iced tea. The young leaves/buds of white tea are hand-picked during a few days of early spring. White tea is steamed and dried, green tea is partially fermented and black tea is fully fermented. Chai means tea in Hindi, Chinese and several other languages. In India, tea may be plain or spiced (masala chai). The favourite Indian way is to boil leaves with mlk and sugar. These are made from dried herbs such as peppermint. Herbal infusions fall under the banner of tisanes, which differs from a regular tea because they generally contain no leaves of the tea bush. The traditional 'tea' of South America is made with a species of holly, native to several countries there. 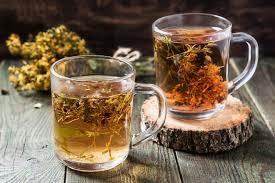 It tastes strongly herbal and grassy and is becoming popular worldwide as an alternative to coffee as it is gentler on the stomach. 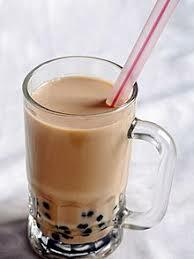 A fashionable drink, especially among the young, being a mixture of tea and pearl tapioca, which forms bubbles when shaken. It is drunk cold. Also called black pearl tea or boba tea, it comes in many flavour and colour combinations. Produced by fermenting the leaves of the tea bush, which turns them black and changes the flavour. This makes the tea stronger and more astringent than green tea. Made with teabags or, better, with loose tea leaves. 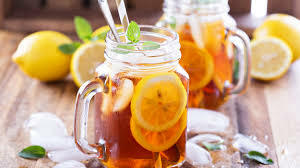 Hot tea is poured over ice cubes, with a spoon in the glass to prevent it from cracking.